Robin began development of the R 3000 in the late 1970s as part of a model range modernisation drive. Robin originally proposed offering a wide range of R 3000 models, although only a few have seen production. Models that were proposed but never saw the light of day include the R 3180S with a turbocharged engine and retractable undercarriage; the fixed gear, but turbocharged R 3180T; the R 3180GT1 and R 3180GT2 with a larger cabin (the GT1 would have been turbocharged, the GT2 turbocharged with retractable gear); and the R 3140T with a solid cabin roof. 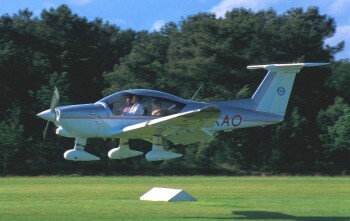 A 1981 agreement saw Aerospatiale, GA manufacturer Socata's parent, become responsible for R 3000 marketing between 1983 and 1987, which meant that Robin concentrated on lower power models so as to not compete with Socata's TB range (described separately), and plans for the higher performance models were dropped. The metal construction R 3000 features a Jodel based wing and forward sliding cockpit canopy and an aerodynamically efficient airframe, and is distinguishable by its T-tail. The first R 3000 model to fly was the R 3140, its first flight occurred on December 8 1980, a second prototype flew in June 1981 and introduced the definitive tapered wings. Production aircraft have been delivered since 1985. The R 3140, now the R 3000/140, has been joined in production by the two seat 87kW (116hp) O235 powered R 3000/100; the three seat R 3120; R 3000/120 (R3120); four seat 105kW (140hp) powered R 3000/140; and the 135kW (180hp) R 3000/180R glider tug. Current production is of the R 3000/140 and R 3000/160, a development of the R 3000/120 (which went of production in 1988). R 3000/100 - One 87kW (116hp) Lycoming O235 flat four piston engine driving a two blade fixed pitch propeller. R 3000/160 - One 135kW (180hp) Textron Lycoming O320D2A flat four. normal cruising speed 200km/h (108kt). Initial rate of climb 590ft/min. Range with standard fuel and no reserves 1120km (605nm), with optional fuel 1420km (767nm). economical cruising speed at 65% power 238km/h (128kt). Initial rate of climb 875ft/min. Range with standard fuel at 75% power cruising speed 1490km (804nm), at 65% power cruising speed 1610km (868nm). Wing area 14.5m2 (155.8sq ft). Seating for two in R 3000/100, three in R 3000/120 and four in R 2000/140 and R 3000/160. Approximately 75 examples of the two versions of the R 3000 had been delivered.